﻿ Coconut Beach Resort, Koh Chang | FROM $28 - SAVE ON AGODA! "This is second time we stayed here, nice hotel & grounds, th..."
Have a question for Coconut Beach Resort? "Lovely place with absolutely the best staff ! Breakfast was great!" 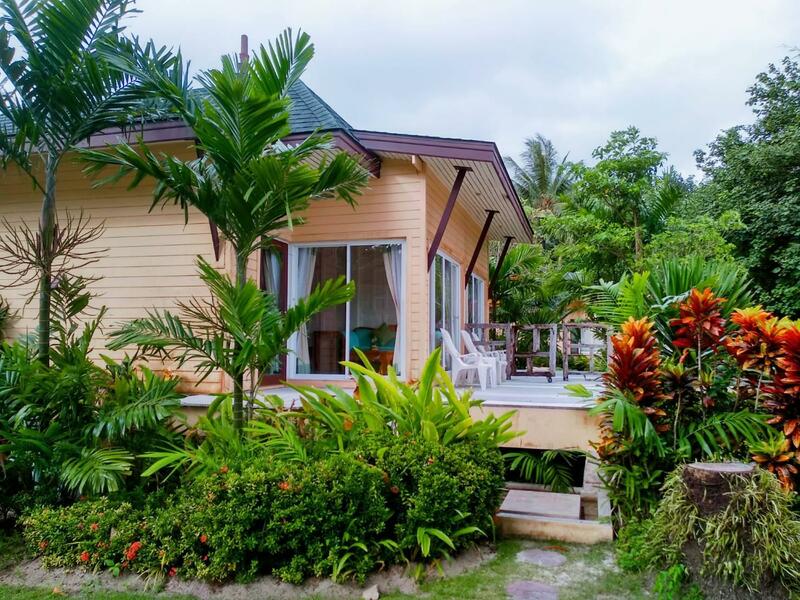 "We had a beach front villa which I highly recommend." "Clean room and service minded staff." 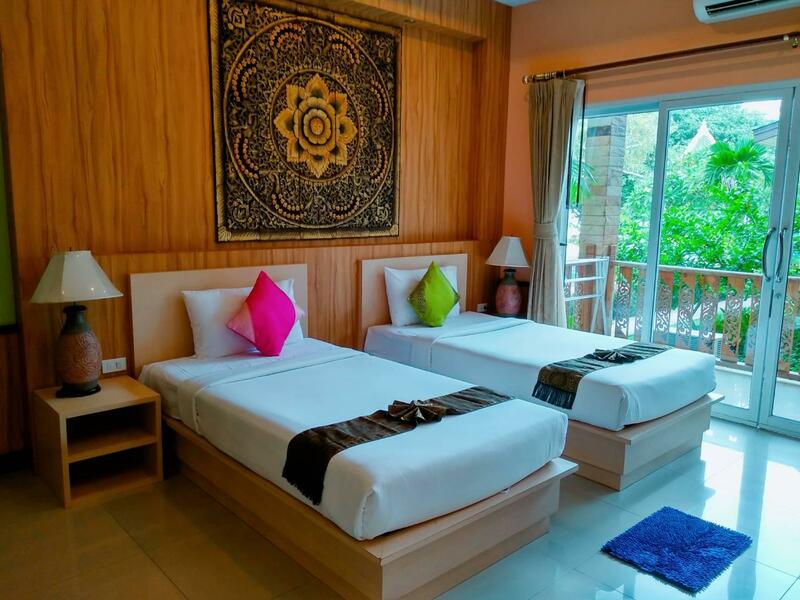 With its beautiful seafront setting and forest-clad mountains to the back, the 3-star Coconut Beach Resort is ideal for travelers in search of a tropical getaway. It is just 50 meters from the white sands of Klong Prao Beach, also known as Coconut Beach and considered one of the most beautiful beaches on the island. Choose between a hotel room or a bungalow and enjoy the many facilities like a swimming pool, pool bar, and breakfast buffet. The on-site restaurant, Butterfly Pub, offers a variety of delicious Thai and European dishes. To reserve your stay, please use our secure online booking form. "This friendly and ideally placed resort made for a relaxed a..."
This is second time we stayed here, nice hotel & grounds, the room was well used but was a decent price. We had a 2nd floor room, it was large, with an outdoor corridor so can sit outside and view the courtyard. Fridge, TV with some English channels. We never used the pool, lots of children plus preferred the ocean. The buffet was large with both Thai & Western options, also have an egg station. Overall good beach hotel and would stay again. The standard rooms are right along the road and the curtains don't block the light so will be bright all night and you can hear the noise. Nice rooms and clean, but a 5 min walk to the beach and restaurant. The rooms closer to the beach look much better. Overall, decent place but for the price nicer places can be found. I love Coconut Resort and always head there when I am staying on Koh Chang. The staff, rooms, facilities and food are all excellent and there is something to suit every budget. Being situated at the head of Klong Prao beach gives it a great location for beach strolls and evening dinner excursions. I stayed in one of the best rooms - beach side bungalow and the sea was just yards from the door of a large room with sitting area. Good bargain in low season. Very good beach - Klong Phrao, and I had a very pleasant quiet week. Good - great breakfast, helpful staff, nice beach, spacious room. Hotel has central location in Chai Chet area. Bad - insects in the room. Dozens of ants everywhere and even on the bed, but worst was flea. Was totally bitten. Told staff, they did deep cleaning, but this didn't help. So went to shop after some heavy anti-insect staff and that helped, found dead flea and no more bites. All in all quite good hotel if you are lucky to get room without nature representatives that bites a lot. I got an excellent deal here that included a very extensive buffet breakfast. The standard rooms offer excellent value for money. The only drawback is that they face over the main road and in my case directly over the flashing neon pharmacy sign. That was only a problem until 10pm, so nothing really to complain about. the room was spacious, clean and comfortable. For a little bit extra, better rooms are available in the heart of the resort and even on the beach front. I found the staff to be courteous, friendly and very efficient. The resort opens up right on the the head of Klong Prao beach, so it is an excellent position if the beach is your main destination. Off the road is Coconut Plaza, which has a couple of very good massage shops and restaurants. It is an excellent proposition for anyone who wants to be close to the beach and amenities, but who doesn't want to break the bank. The room we booked through Agoda was not the room we were given on arrival. When we discussed with the desk staff they quickly reviewed the booking and moved us to the correct room ( garden view vs. street view). The bathroom in the garden view room was small, there was no counter space and we found it a bit tricky that the recessed shower floor was so close to the toilet. It was ok for 1 night. We didn't stay in it but I think the street view building would be very noisy. Dinner and breakfast were good. Location is located at the main street. The beach is great for swimming and sleeping on a hotel bench. Just a staff at the breakfast place is bad, blame me in Thai loudly. I just ask her to provide me omelette instead of scramble eggs. You may get it if you are foreigners, not Thai. This place is awesome. From the orchid groves to the beach, each unit is lovingly crafted with an eye to nature and the sacred traditions of the area. Immaculate beach and pool, amazing breakfast buffet, world-class restaurant. Even the cleaning staff are artists, designing a new welcome arrangement with bedding and towels each day. All this for under 1000 Baht/night! The resort runs from the main road to the beach, a bit of a sprawling place with a wide range of rooms. We had the lowest priced ones that faced the main road that ran past the resort. We arrived about 3 pm and were taken directly to our room. Large balcony with a large drying rack, facing the Tesco-Lotus across the road. 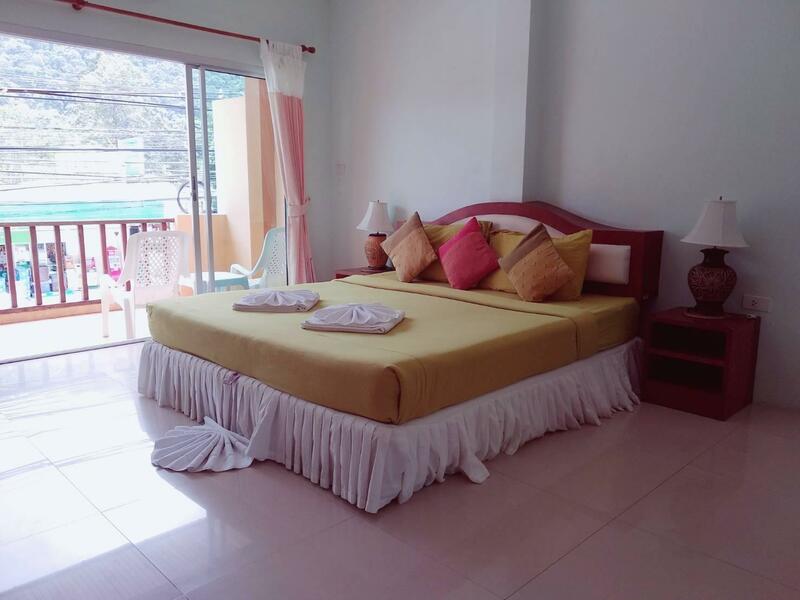 The room was clean, had AC, TV, queen bed with blankets, fridge, wi-fi (weak to none , worked on balcony early morning & worked well at reception & in the dining room), towels, soap, shampoo, conditioner, open wardrobe, safe, desk with stool and two night stands. The room curtains were light so the room was still quite bright at night as Tesco is 24 hours. Also, there is street noise so ear plugs might be helpful. The resort has 2 pools, one near the ocean and one closer to the road, didn’t use either as went into the ocean. There is a large breakfast buffet with a good selection of Thai and western dishes. It has egg station as well as a soup station. Juices, coffee, tea and milk also offered. Overall, very good buffet. They also have a beach restaurant with a range of dishes, from Thai to pizza and pasta and liked all the dishes we had there. Also, very nice staff, always pleasant when we interacted with them. The resort was fine and could stay again but if did would look into rooms closer to the beach, off the main road. Excellent location, nice staff and had nice evening entertainment. Food and drink prices a very reasonable and the beach location is fantastic. Found myself just laying on a deck chair on the beach daily with no complaints. However some minor issues included a TV that had poor reception and hot water was not working correctly and our room had no phone to call reception. Just a tip for the hotel, next to the pool is a little hut that serves towels and some drinks. Would have been fantastic if they were to have serve cocktails. Im sure others would agree. Hope that helps. Good restaurants in the vicinity at a reasonable price. 3 supermarkets right out the front. Beach not too crowded. Only criticism is the beds are typically hard by western standards. Clean room and service minded staff. The beach near the hotel is nice and not so crowded. 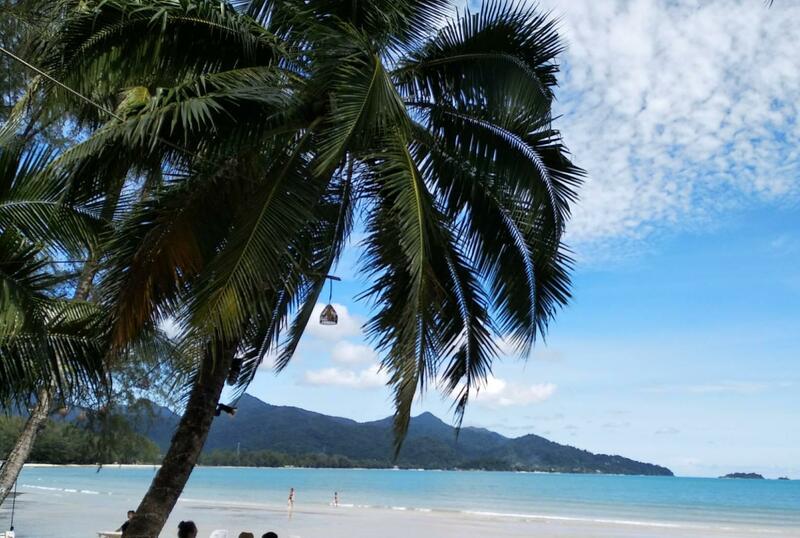 The beach life is quite calm at Koh Chang, no banana boats, jet ski or para sailing. Probably due to the island is a national park. The cheapest rooms with terrace facing the main road are big, clean and comfortable. The buffet breakfast is very good and staff are nice. The only problem is that there are not enough beach chairs which are constantly occupied by (mainly Russian) tourists even though they are not present. They just put their towels on those chairs early morning. Die Lage des Resorts ist fantastisch! Absolute Strandlage. Das Personal ist sehr freundlich und bemüht um den Gast. Das Zimmer (Villa 2) war in Ordnung und auch alles sehr sauber. Minuspunkt: Klimaanlage furchtbar laut, sind in der Nacht mehrmals davon aufgewacht (müsste mal gewartet oder erneuert werden). Leider nur ein uralt Fernseher. Beim Frühstücksbuffet gab es nur Speisen,die mehr auf Thais ausgerichtet sind ( keine Wurst,Käse ,Brot etc). Nur eine einzige Sorte Tee, keine Fruchtsäfte. Eigentlich hätten wir für diesen Preis ein etwas besseres Buffet erwartet. Wir würden aber trotzdem wieder kommen, da die positiven Seiten überwiegen. Very good breakfast and with normal selections. Small pool but beach is ok to use instead. Sun chairs is also available at the hotels part of the beach. Room at Wanishapool(1) building has grate Thai tradition style. Loud frog music in front of hotel buildings with a start from 7pm to.... Restaurant have excellent lunch and dinner choices and with ok price level. The room they gave us was against the main road. It was like staying in the middle of a highway., so be careful if you book this resort. Near beach. Nice and kind staff. Reasonable price.